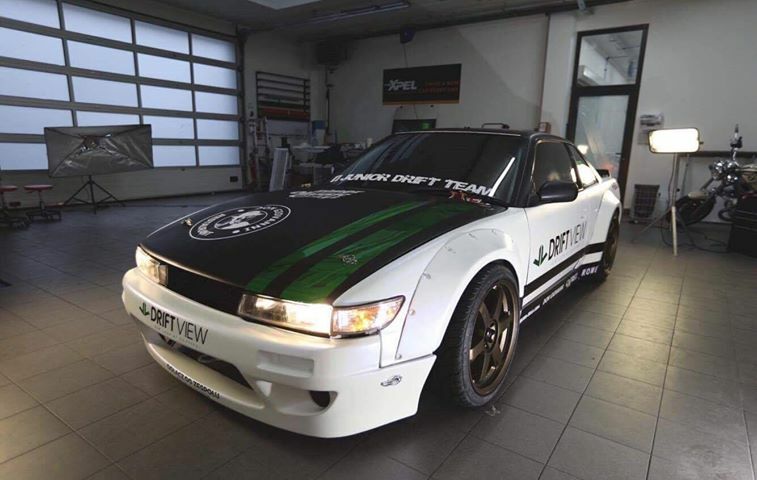 We catch up with Piotr Trojanek’s incredible 2JZ PS13 drift build to showcase the finished car. 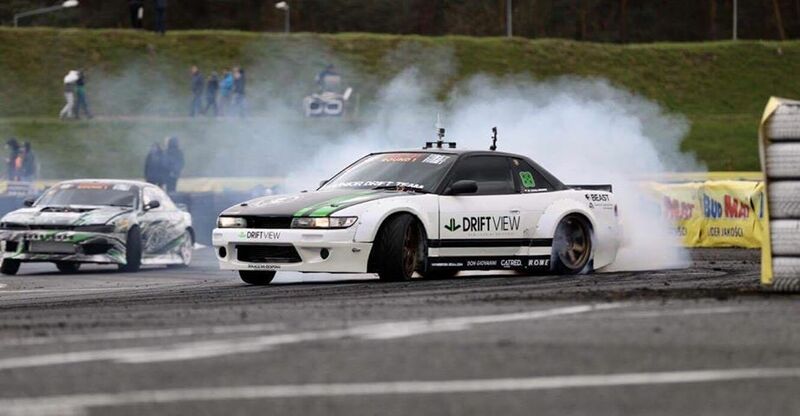 Back in March we brought you an exclusive feature on Piotr Trojanek’s stunning 2JZ Silvia drift build. 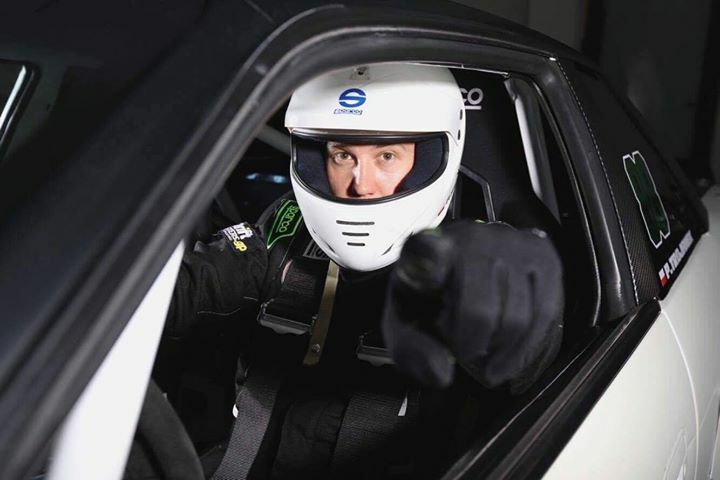 At the time Piotr’s engineers were deep into overcoming the mechanical challenges of this ambitious build so we agreed to catch up when the car was finished and ready for action. 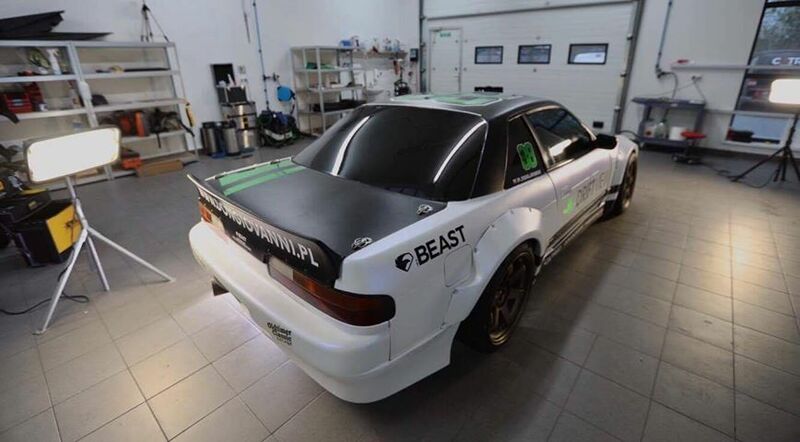 As you can see from the video above Piotr’s very special PS13 is indeed finished, has been shaken down and is ready to take on the European competition. I’ll you drink in the details before I continue.. 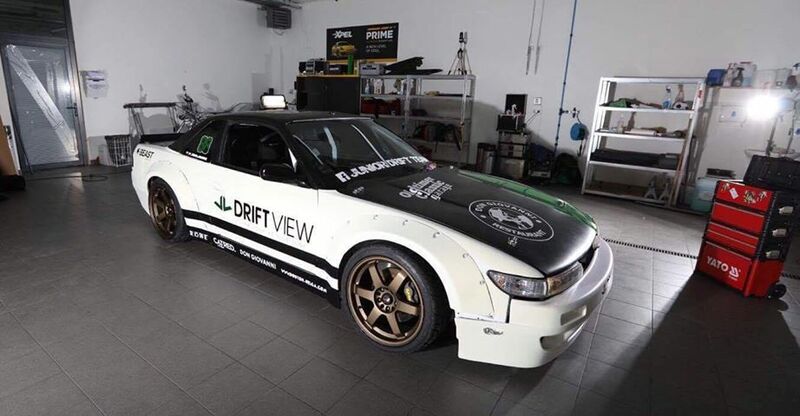 The finished product is a clean and modern take on a classic drift car style. Crisp white paint adorns the body panels while the roof has been painted black for a two tone finish. The last time we saw the car the aero kit was still to be fitted. Now everything on the car has been finished with just a few niggles remaining to be tidied up (the front bumper required a little more time to fit). Subtle sponsor graphics complement the monochrome paint scheme. I think that the lines of the PS13 really lend themselves to this two tone look. The black paint is mirrored on the sideskirts. 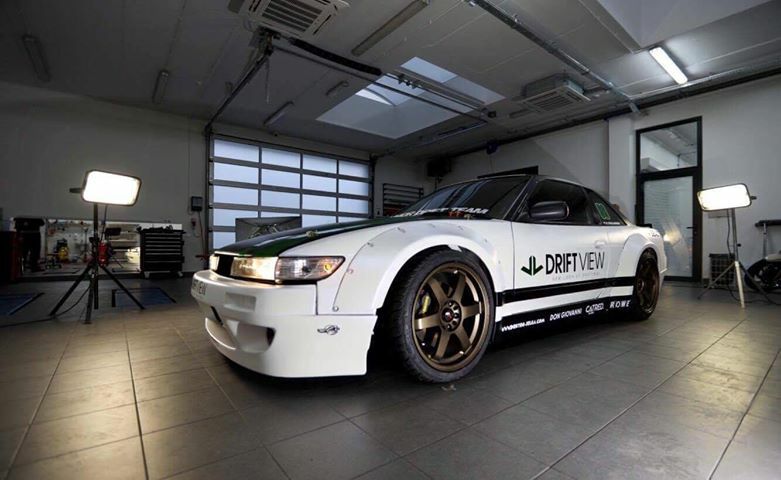 Classic Rocket Bunny front bumper, sideskirts, rear bumper and overfenders give an injection of aggression on what is by drift car standards a subtle exterior. The bronze painted VOLK TE37 wheels are a perfect fit for the car. A carbon fiber bonnet and bootlid continue the black and white theme. Perched upon the carbon boot lid is a classic ducktail Rocket Bunny spoiler. 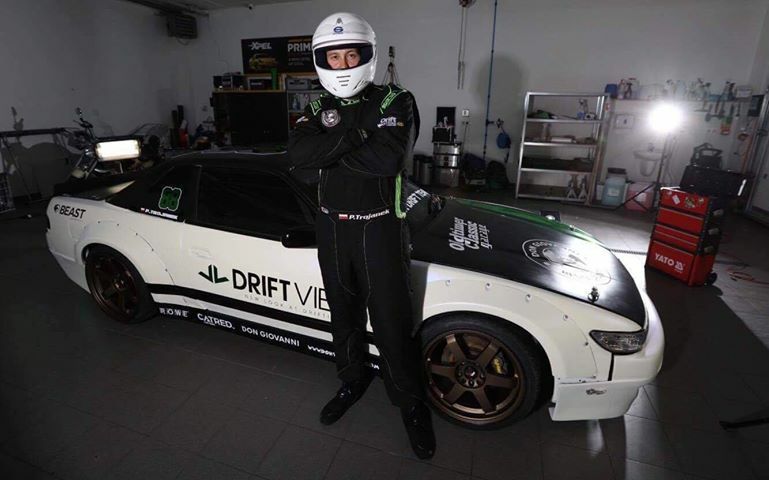 Piotr is ready to take on the challenge of the best that Europe’s drifters have to offer when he competes in the Drift Masters Grand Prix, Drift Open, Czech Drift Series and King Of Europe. 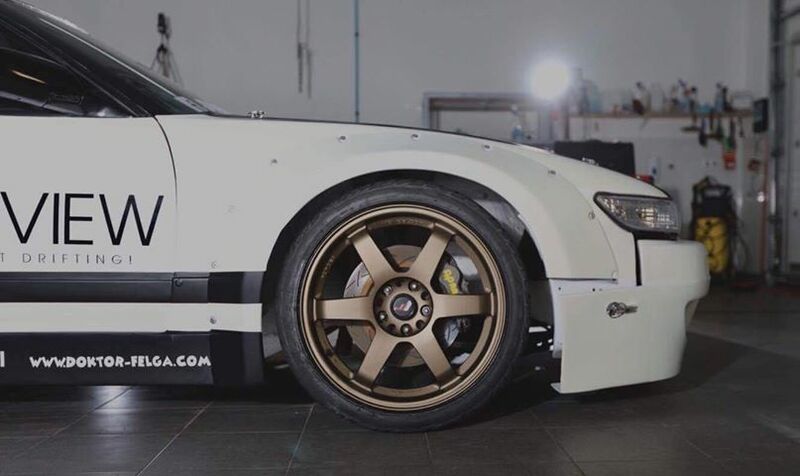 With a full chassis up rebuild and well north of 700PS on tap, this Silvia is a serious contender. 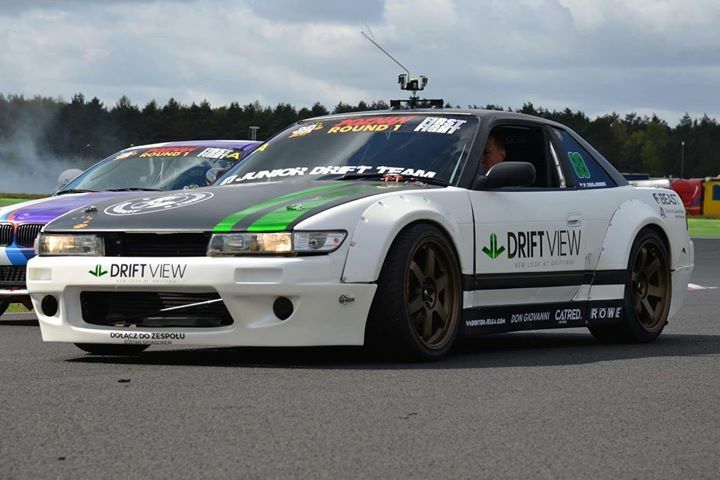 Piotr is a member of the Junior Drift Team and was keen to get out on track with his new steed. 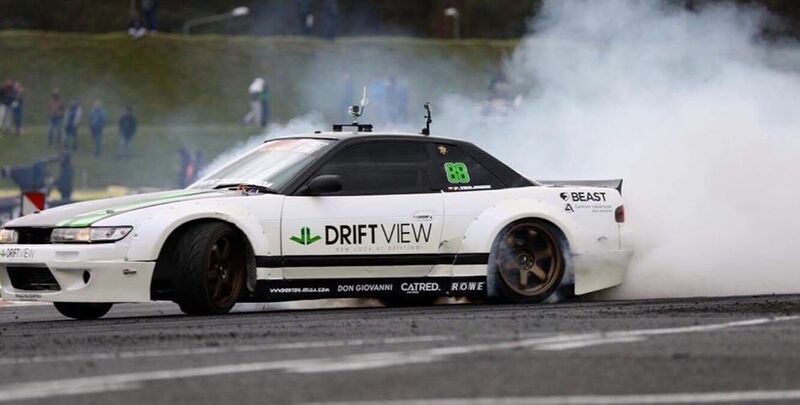 If these photos and videos are anything to go by it seems both Piotr and his car are performing great! 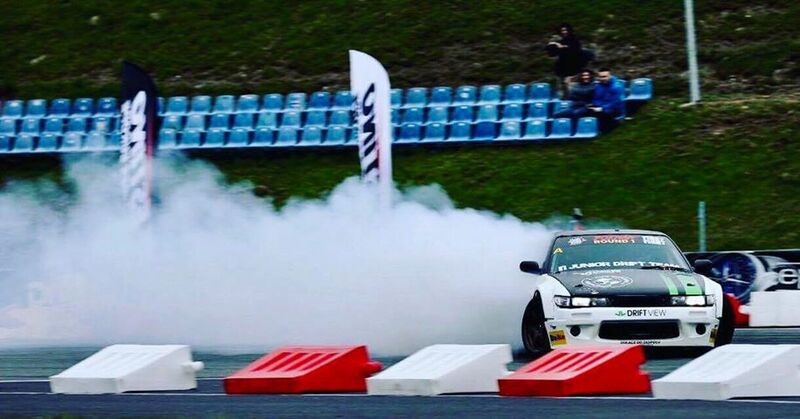 Plenty of speed, plenty of noise and plenty of smoke from Piotr’s heavily breathed on 2JZ-GTE. The European competition are going to need to bring their A game in 2018 as now that Piotr’s Silvia is finished his eyes are set on gold. 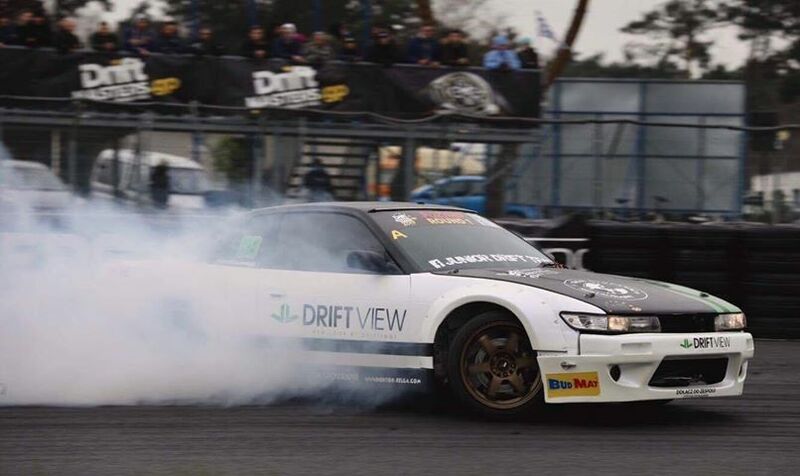 If you’d like to follow Piotr’s progress then follow the Junior Drift Team on Facebook. Photo credits: FB//Fotocykl, @creative head, Kryspin Slipiec Photography.